With heavy hearts we sadly announce the passing of Verna Huisman. Surrounded by her loving husband and two daughters, Verna passed away at Trillium Lodge Hospice at the young age of 59 years, from a short, yet courageous journey with cancer. 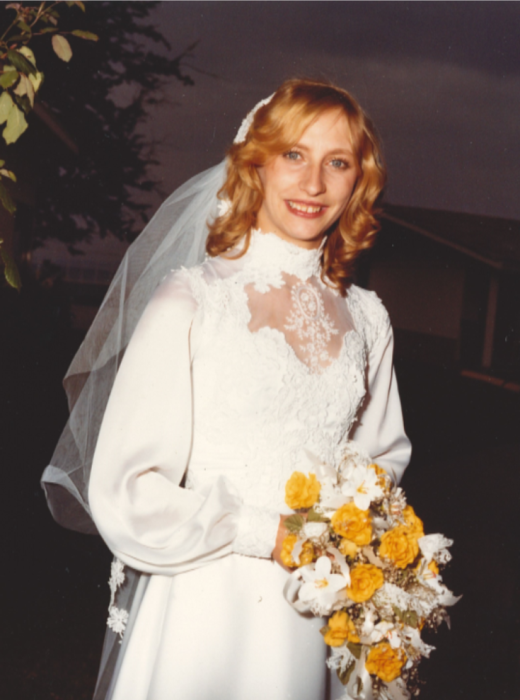 Verna is predeceased by her father and mother, Theodore and Mary Gonske; twin brother, Norman Gonske; father in-law and mother in-law, Casey and Marcella Huisman. Verna is survived and dearly missed by her husband of 37 years, Eddie Huisman; daughters, Brittany Huisman and Jennifer Paraskevopoulos; son-in-law, John Paraskevopoulos; and grandchildren, Alyssa and Daniel Paraskevopoulos. She is also survived by four brothers, four sisters, numerous aunts, uncles, cousins, nieces, nephews, friends and in-laws. Verna was born in Ontario and later in life settled in Errington for 30+ years. She was dedicated to caring for her husband, two daughters and loving grandchildren, and working alongside Eddie in their family business. A memorial service will be held at 3:00 pm on Saturday, October 6th, 2018 at Our Saviour Lutheran Church, 795 Island Hwy W, Parksville, BC. Flowers are welcomed.